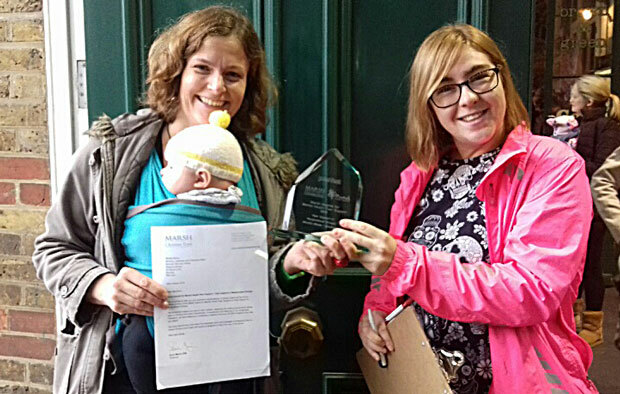 Bromley Mindful Mums won a Marsh Award for Mental Health Peer Support in the category of ‘Peer Support in Marginalised Groups’ and £500 prize for use in Mindful Mums, at Peerfest 2018 on 20th October 2018. Bromley Mindful Mums runs a series of wellbeing groups for pregnant women and new mums to help them navigate changes in identity, relationships, learn tools and techniques to manage the stresses and anxieties and meet other local women in similar situations. Groups are led by trained volunteers with lived experience of mental health perinatal (the period from pregnancy to the first year of birth) mental health problems. Bromley Mindful Mums also runs a very successful and popular Walking Group for Bromley mums, providing exercise and social connection. There is also a specialist group for pregnant women and new mothers of twins or more.